Attracting customers for your print business means aligning the products you sell with the needs of those clients' own companies. Creating this kind of connection in the digital age is tougher than it was in an era when print was the default communication method, but it's far from impossible. When pursuing helpful and close bonds with your prospects, you'll have to perform research on industries in general and specific companies to ensure your offerings are on target. Making such an investment of time and resources ensures you are operating a print service provider that aims to solve real problems instead of taking shots in the dark. Interpreting data and determining potential clients' desires is a cornerstone of planning within the printing industry, especially because the results of research can be surprising and helpful. For instance, WhatTheyThink contributor Heidi Tolliver-Walker recently parsed the results of the 2017 Print Buyer Survey, which found buyers interested in printers for their actual printing prowess. This wouldn't appear to be shocking data, but in an industry that's increasingly becoming tied to value-added marketing services, it's interesting to say the least that customers stated they just want print. Printing has become a specialty today, one with an important role to play. Should print service providers focus on this one, basic facet of their business? Tolliver-Walker conceded that most printers have not made a full metamorphosis into marketing service providers. Physical printing offerings are their best products, and 84 percent of respondents to the Print Buyer Survey choose a service provider based on printing, not secondary or add-on services. The matter of which way is correct for the printing business as a whole industry remains an open question, as Tolliver-Walker conceded. However, the data does show a strong preference among customers for a certain facet of service providers' portfolios. This can act as a compass for sales teams trying to improve the appeal of their print companies, or at least guide new rounds of research. If you find your own customer base is similarly interested in your actual print products, you've learned how to better appeal to them. Hiding within the data on customer preferences is an implicit caution. Tolliver-Walker quoted the Print Media Center's Deborah Corn, who posited that printers going well beyond their core offerings may end up over-promising, and subsequently disappointing their clients with add-on services. In such cases, these secondary failures may sour the whole contract. This results in a valuable strategy to take to heart: When and if you branch out, be sure every product is solid and functional. Bad marketing services may disappoint customers more than a lack of marketing services. While making a match between your services and potential buyers may prove as simple as having the best core offerings, your pitches to these prospects should likely have some finesse. Printing Impressions contributor Matthew Parker recently explained that when print service providers' sales pitches are focused too much on those companies themselves, they are off track. A sales process focused on buyer needs, and the service provider's ability to suit those requirements, are more promising. 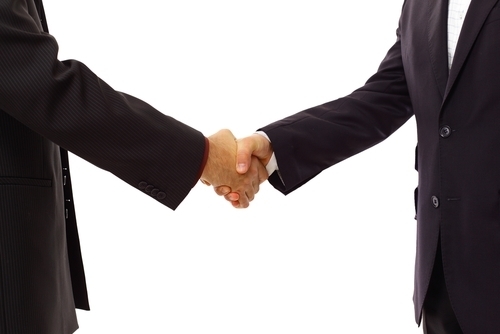 The goal in making a sale is always to convey that the partnership between companies will be mutually beneficial. The elements salespeople emphasize on the way to this conclusion should be specific wherever possible. Problems aren't universal, and creating the match between buyer and seller is a process that focuses on identifying which elements are relevant in that exact situation. Knowing that print quality is a common wish among buyers is helpful, but Parker's point is important, too: Sales processes that begin and end with excessive talk about technical print quality may not be as compelling as those that get into specifics. Having discussions that are about the buyer instead of the seller is one way to guide prospects to a decision. Performing research on your own unique lineup of potential customers could reveal additional surprising priorities. That kind of knowledge can guide your sales process effectively.